An upcoming sale rounds up a selection of exceptional artworks within a private French collection of a successful business dynasty. 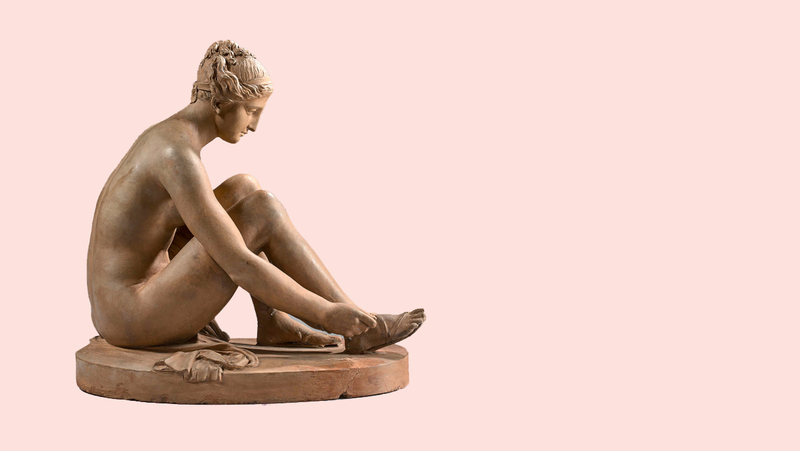 Spanning five continents and 2,000 years of history, the Fernand Lafarge Collection, a Tribute to Sculpture, brings together more than 60 works gathered together by a singular family. From archeology to Aristide Maillol, Tribal Art to Jean-Baptiste Carpeaux, the sculptures are rich in history, taste and style. 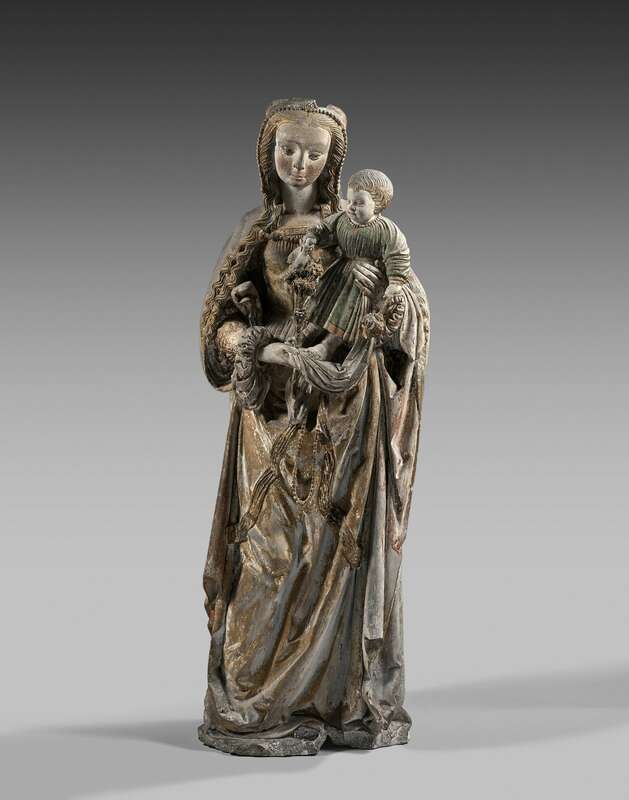 To be held on 27 March, the auction forms part of Artcurial’s Old Master & 19th Century Art sale, during their annual event concurring with the Salon du Dessin. The Lafarge family is a successful, French entrepreneurial business dynasty. In 1764, Jean Lafarge, newly arrived from his native Cantal, built an umbrella factory in Amiens. The family business then developed over the course of the 19th century, with dozens of branches opening across Northern France. Then, in the early 20th century, leather goods overtook umbrellas, and the Lafarge business opened shops and launched an art collection, acquiring several sculptural and painted pieces by Jean-Baptiste Carpeaux (1827-1875). In 1962, the three Lefarge sons, one being Fernand Lefarge, took over the business. Fernand Lafarge continued to increase the art collection until his death in 2013. Having lived with his family near the foot of the Amiens cathedral, his artistic tastes were said to be inspired by the building’s ornamental sculptures and by the archaeological pieces bequeathed by Albert Maignan (1945-1908) to the Museum of Picardy, which Fernand Lefarge visited often. Artcurial’s Fernand Lefarge Collection doesn’t end here, however. The collection pays tribute far beyond Haute Époque, to the period of Enlightenment, the 18th century, 19th century, and beyond. This sculpture of Cérès was created during the second half of the 18th century, when a craze for drawing and a fashion for terracotta statuettes flourished, replacing the previously popular marbles and bronzes in interior settings. Classical figures inspired by antique models that were being discovered at the time were also fashionable. We see this here with Cérès, who grasps an ear of corn while drapery is held in her other hand, the fabric skilfully and artfully arranged in folds. Claude Michel (1738-1814), known as Clodion, was a French sculptor famous for working with terracotta in a Rococo style, his works quickly becoming successful among his contemporaries. 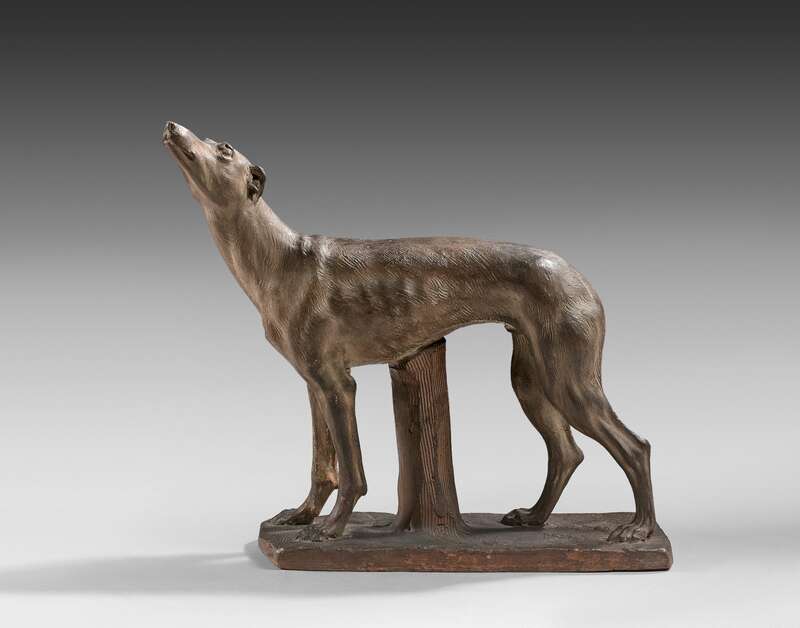 Another terracotta work, this Greyhound is attributed to Jean-Antoine Houdon. While terracotta figures were popular, depictions of animals in a natural pose were incredibly rare. This rare example has been highly executed after careful observation of a greyhound in nature and size, making this work a unique example of terracotta statuary. While Fernand Lafarge primarily collected statues of the Hate Époque, he did also acquire a few paintings which are included in this sale. One is this rare picture from a 15th-century French painter which was exhibited at the now legendary Louvre exhibition in 1904, Primitifs Français (French Primitives). 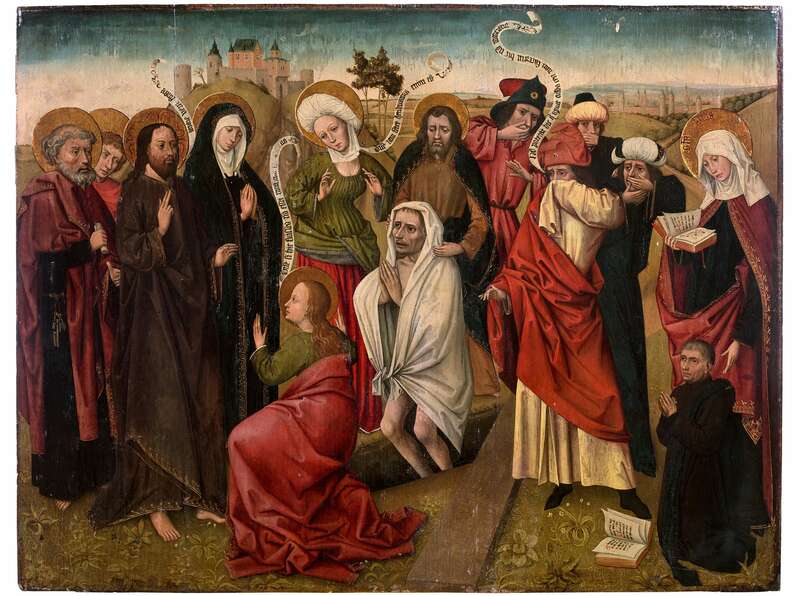 The work is dated from the latter half of the 15th century and illustrates Christ resurrecting Lazarus, following his death a few days prior. Also present are Martha and Mary, sisters of the deceased, as well as the Virgin and the apostles. Given the painting’s strong, almost sculptural depictions – the carefully drawn drapery which echoes the coats of the stone and wooden saints which adorned the churches of the period – it’s not surprising this work caught Fernand Lafarge’s eye. While these lots signify the quality and strength of the sale, they are also only a small glimpse at the many exceptional works on offer. 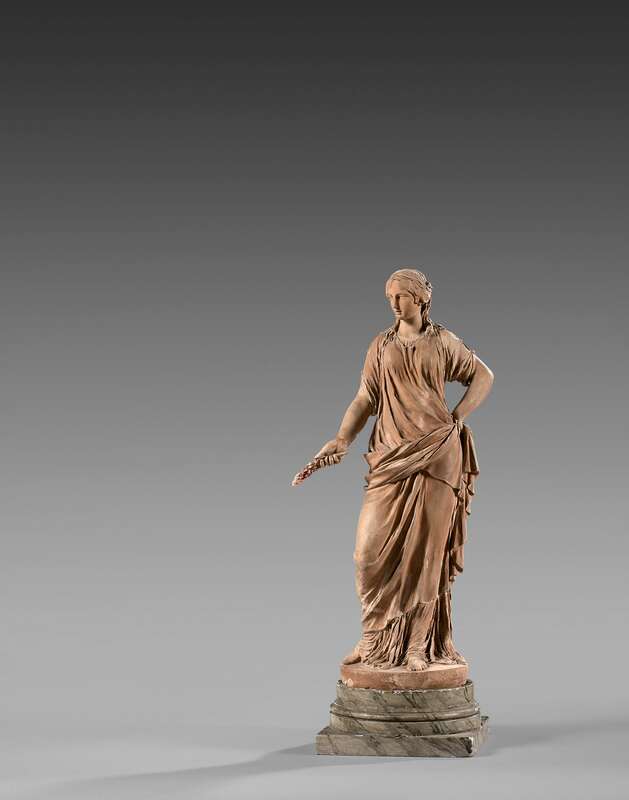 To take advantage of the many pieces collected by Fernand Lafarge, and kept within the Lafarge dynasty for so long, be sure to take a look at Artcurial’s entire catalogue before the sale on 27 March.